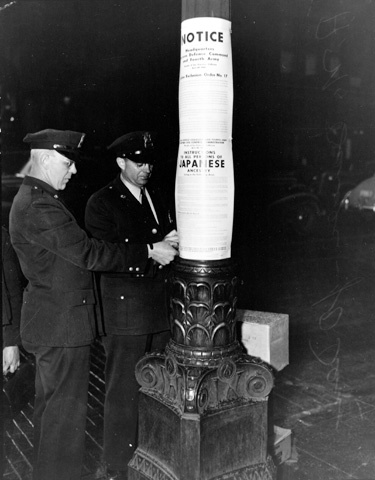 On February 19th, 1942, President Franklin D. Roosevelt signed Executive Order 9066. 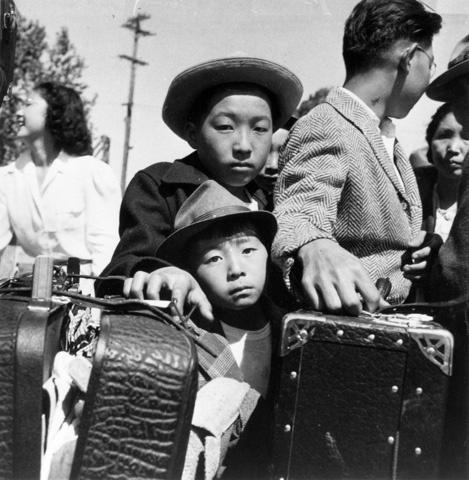 EO 9066 was the catalyst that led to the forced incarceration of people of Japanese ancestry who were located in military exclusion zones along the west coast of America whether they were U.S. citizens or aliens. 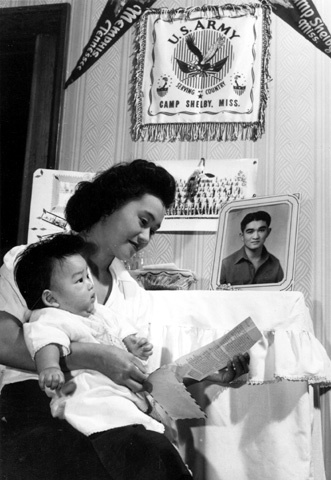 The newly created Army agency, the Wartime Civil Control Administration (WCCA), first handled the forced removal of Japanese Americans. Afterwards, the War Relocation Authority (WRA) was the government agency that systematized and managed the incarceration process. 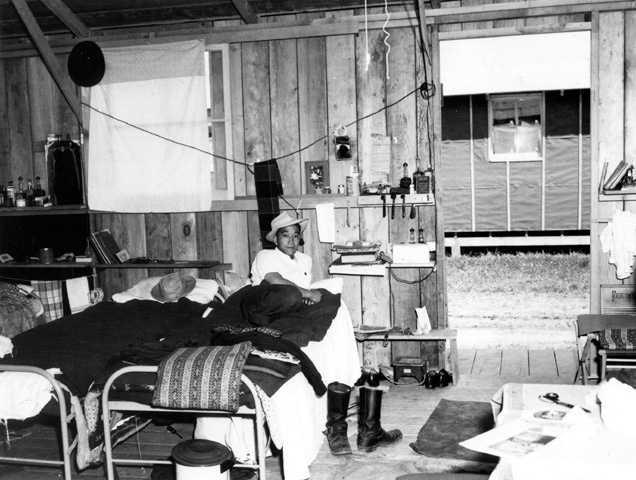 Ten WRA “relocation centers” or incarceration camps were established throughout the western and interior regions of the U.S. and served as crude camps in which inmates lived during the war years. On September 4, 1945, Public Proclamation No. 24 was issued revoking the exclusion orders against people of Japanese ancestry. 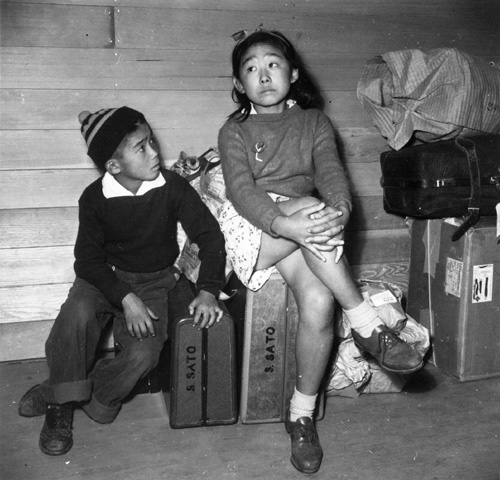 During WWII almost 120,000 Japanese Americans were uprooted from the West Coast regions that were deemed military exclusion zones. They were forced to give up their homes, belongings, jobs, and businesses. They were isolated in camps and controlled under severe restrictions. We can better understand the lives, experiences, and stories of these people by studying objects within the National Museum of American History’s collection. The objects tell us about particular people as well as about general life in the incarceration camps. From the stories attached to these objects, we see that people tried to carry on with life as close to normal as possible and had to make difficult decisions about an uncertain future. This collection gives us a unique opportunity to better understand the harrowing experiences of a particular episode in our nation’s not too distant past. Two policemen post signs regarding the internment of Japanese Americans, 1942. Turlock Assembly Center, May 2, 1942. Photo by Dorthea Lange. Santa Anita Assembly Center, March 31, 1942. Photo by Clem Albers. Tule Lake War Relocation Center, September 26, 1943. Photo by Charles E. Mace. 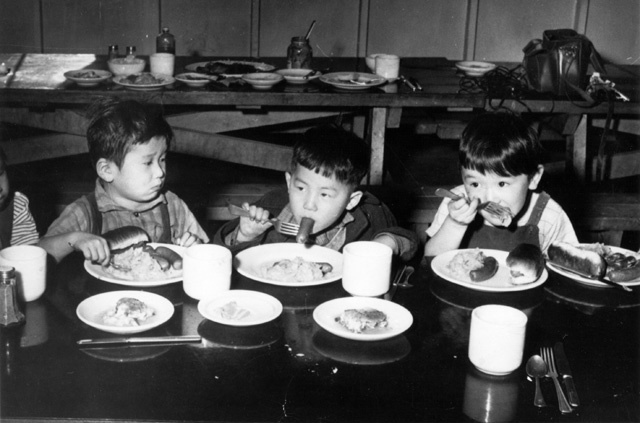 Minidoka War Relocation Center, Christmas 1944. Photo by Hikaru Iwasaki, September 1944.